Today we finally get a look at John Lithgow as Jud Crandall in writing/directing duo Kevin Kolsch and Dennis Widmyer’s re-adaptation of Pet Sematary. The following photo was shared via Cinephellas on Twitter. 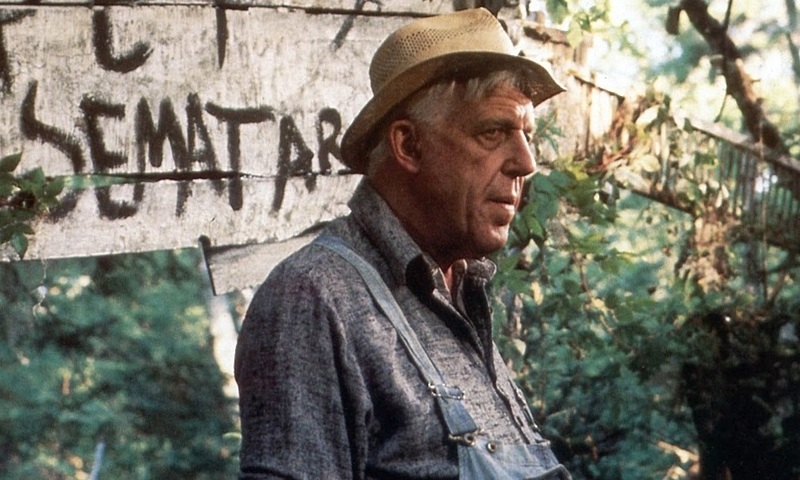 The assistant director also shared the following news that filming on the Pet Sematary remake is due to wrap up next week. The cast list also includes John Lithgow (Twilight Zone: The Movie) as Jud Crandall, Jason Clarke (Winchester) as Louis Creed, Amy Seimetz (Alien: Covenant, “Stranger Things”) as Rachel Creed, ten-year-old Jeté Laurence will play Ellie, three-year-old twins Hugo Lavoie and Lucas Lavoie will play Gage. Lorenzo di Bonaventura and Mark Vahradian are producing, along with Alexandra Loewy executive producing. Jeff Buhler and David Kajganich penned the script based on the horror novel by King. Stephen King’s Pet Sematary is set to resurrect all things dead on April 5th, 2019.